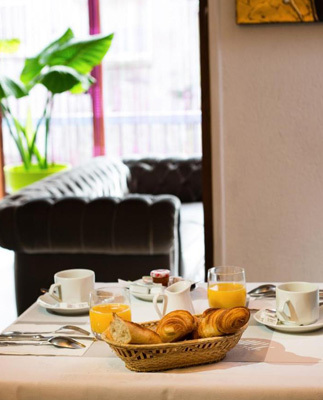 In Dreux, in the heart of the old city, at the foot of the bell tower and the River Blaise, facing Saint Peter's Church, the Hotel Le Beffroi***, a 3-star standard hotel, is delighted to welcome you. 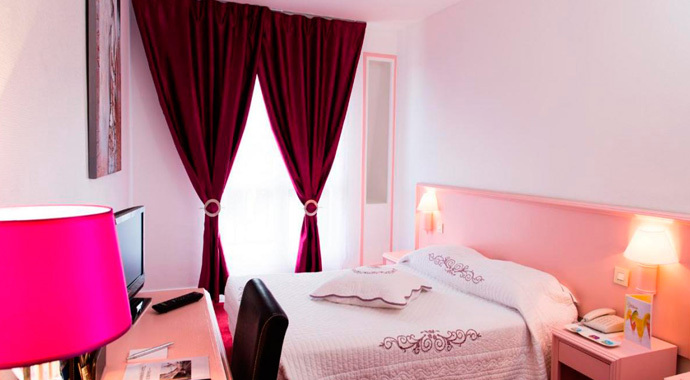 In the heart of the small historic and romantic setting of Dreux, your charming hotel invites you to stay in a warm and cosy atmosphere. 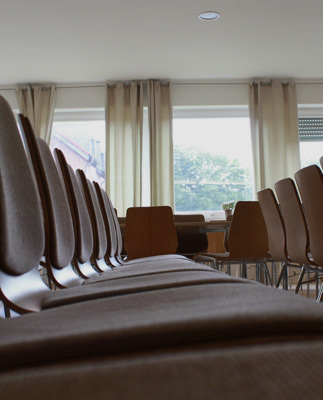 A popular address for business trips, seminars and professional events, the hotel provides a wide range of high quality business-related services. Whether you are planning a meeting with clients, colleagues or a presentation, we have the right meeting room for you. With the possibility of cold meals. 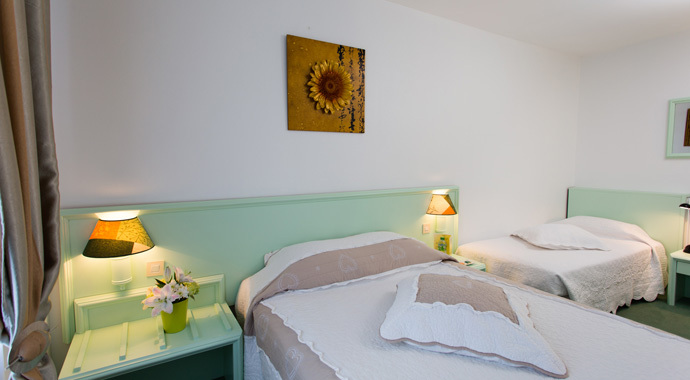 The hotel is ideally situated in the heart of the town overlooking a pedestrianised square beneath which there is a public underground car park. The rooms at the back have attractive views over the river. Thought this hotel was a very central location. The guy at the front desk was incredibly helpful and accommodating. Best located hotel for a city visit! Right in the middle of the pedestrian zone and city center. Very friendly lady owner, very helpful in case of questions. 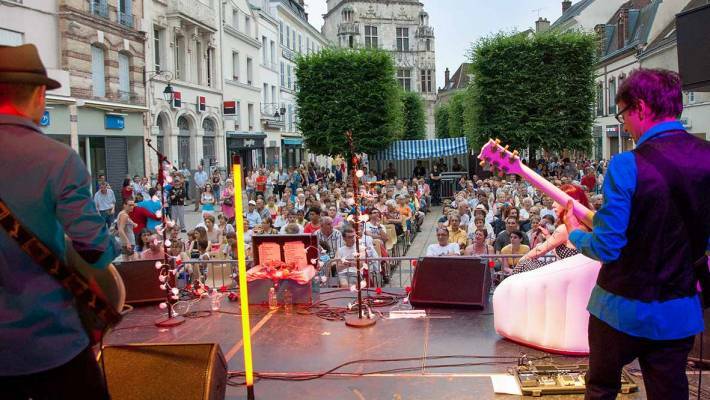 In Dreux, in the heart of the old city, at the foot of the bell tower and the River Blaise, facing Saint Peter’s Church, the Hotel Le Beffroi***, a 3-star standard hotel, is delighted to welcome you. In the heart of the small historic and romantic setting of Dreux, your charming hotel invites you to stay in a warm and cosy atmosphere. Perfect for a romantic getaway or a family holiday, it is also the ideal location for entertaining your business partners, guests from overseas or family. 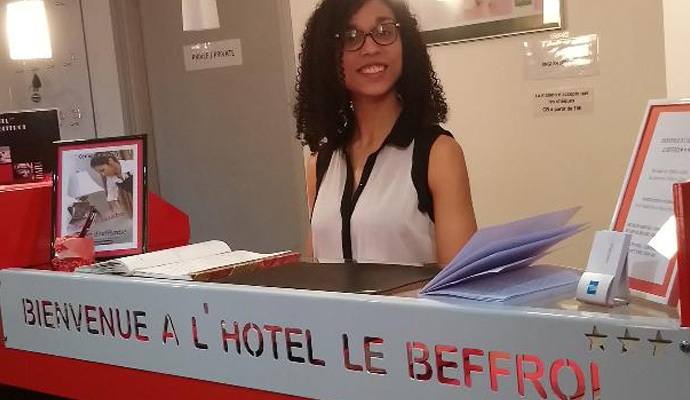 Corinne Dubessay, Hotel Le Beffroi Manager. 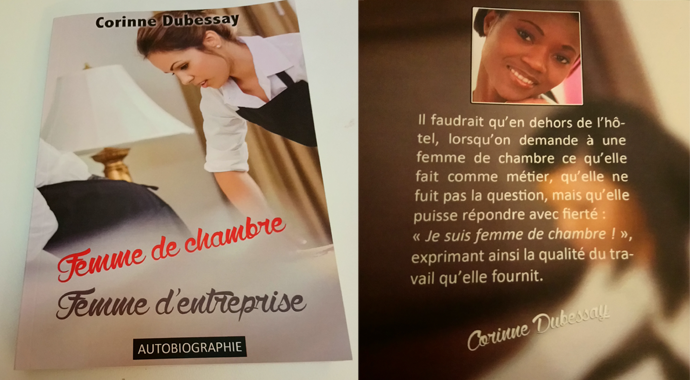 The owner, author of “Femme de chambre, femme d’ entreprise”, gives you her extraordinary journey, to read absolutely! On sale at the hotel and at the rose des vents, bookstore in downtown Dreux. You can order it by contacting us by mail or telephone.